Corey Paris is uniquely equipped to be the energetic leader and passionate, yet common-sense problem solver this current generation needs in its leaders. 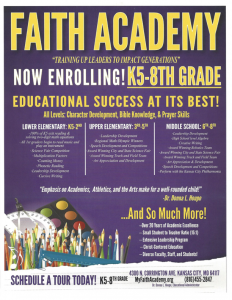 The traits that Corey holds to be his core set of convictions stem from the upbringing that he gained from Faith Academy. Today, a proud resident of Stamford Downtown, Corey is a product of the Connecticut State Colleges and University system. 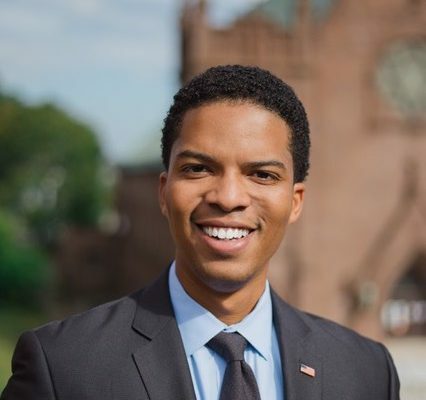 He was educated at Western Connecticut State University in Danbury and after graduation, was drawn to the vibrant community where he now makes his home and is currently a candidate for state representative. Pragmatic, genuine and passionate about serving people and producing results, Corey has dedicated his professional life to raising awareness about systemic injustices and prejudices that plague marginalized communities. He takes seriously the commitment to listening to and representing all of his constituents and finding creative ways to meet their needs. Additionally, in his professional life, Corey serves as the Director of Development for the Hispanic Health Council. He acquired the role after serving two years as Associate Director of Annual Leadership Giving and Associate Director of Development at the University of New Haven. At the University of New Haven, Mr. Paris secured six figure gifts for scholarships benefitting students of color, women and other key affinity groups. Mr. Paris also acquired new gifts to help support the mission and program vision of the College of Business. Additionally, he was instrumental in identifying philanthropic supporters for the naming of new buildings on campus to honor African American philanthropists; a first for the University. Corey has developed his ability to collaborate for the common good through his service on multiple boards, including the Ives Authority for the Performing Arts, the WCSU Alumni Association and the Multicultural Council for the City of Stamford, and The Center for Sexual Assault Crisis Counseling and Education. He’s dedicated to serving his community, state and party in a way that brings positive change.